A RUP LIFE: Summer Reading Series! 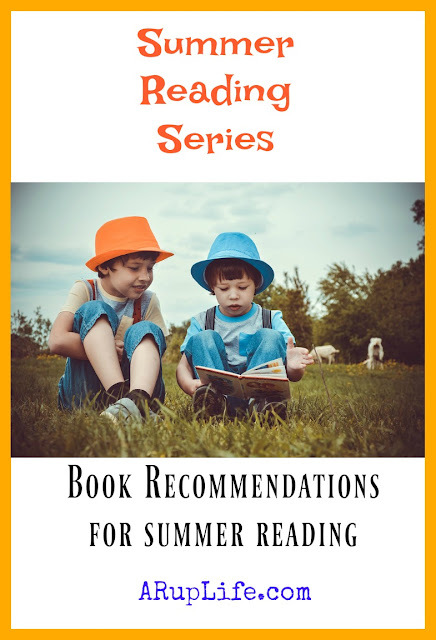 Summer is almost here and that means summer reading! I make my goal to read as many books personally as I can during the warm months when we don't have school and I like my kids to do the same. We will be signing up for the reading programs at the library and various organizations. I plan to create a home chart to encourage my 7 year old to independently read often this summer. On the blog I will be featuring books for all ages from babies to adults. Some will be review books and there will be some giveaways - so come back often! So What Are Your Reading Plans For The Summer? ARupLife.com did not product, press or compensation to facilitate this post. This post may contain affiliate links, which means that by clicking on an affiliate link I may receive a small amount of money. We only give our honest opinions of products. This post is in accordance with the FTC 10 CFR, Part 255 concerning the use, endorsements or testimonials in advertising. Lisa Rupertus/ A Rup LIfe is a participant in the Amazon Services LLC Associates Program, an affiliate advertising program designed to provide a means for sites to earn advertising fees by advertising and linking to Amazon.com.